Give Junior his own pack of smokes - candy smokes that is! After all, nothing is cuter than a kid with a candy cigarette walking side by side with his chain smoking dad! 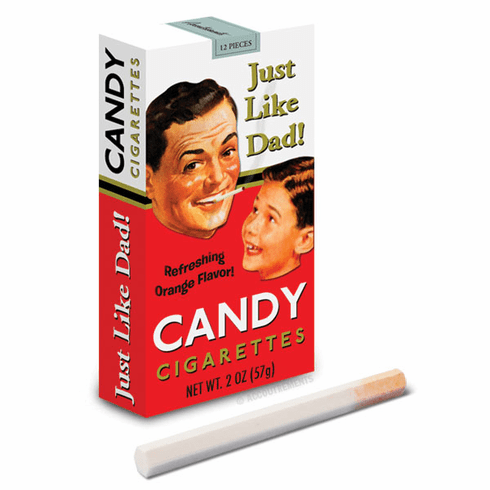 Each 3-7/8" x 2" x 3/4" (9.8 cm x 5.1 cm x 1.9 cm) pack contains twelve 3-1/2" (8.9 cm) long sticks of orange-flavored candy that look somewhat like real cigarettes.